First person shooter gamers looking for a controller that can provide a little more immersive gameplay, might be interested to learn that the new Mag II Gun controller will be arriving in stores later this month on November 13th. The Mag II Gun has been designed to be compatible with both PlayStation 3 consoles and PC systems, and has been created to provides players with a high-precision controller. Watch the video after the jump to learn more about the Mag II Gun controller and see it in action. 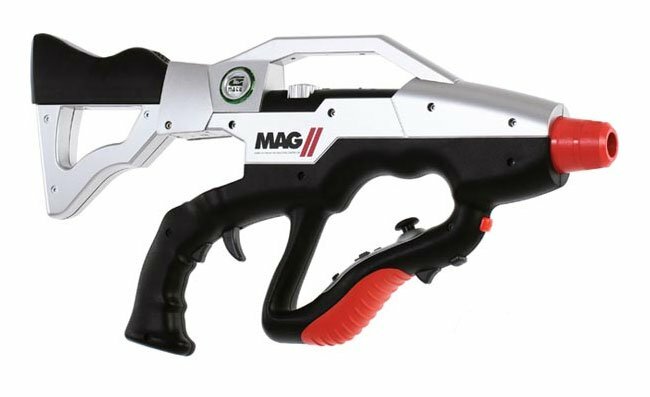 The Mag II gun controller features 3 pre-programmed sensitivity options and is the only gun controller to incorporate motion sensing and gyroscopic induction movement tracking, say its designers. With downloads available via PC that can be used to unlock new functions, gameplay modes accessible from the MAG II Gun Controllers’ Function Dial. The Mag II will be available to purchase on Noverber 13th 2012 for around $150, with pre-orders now being taken.